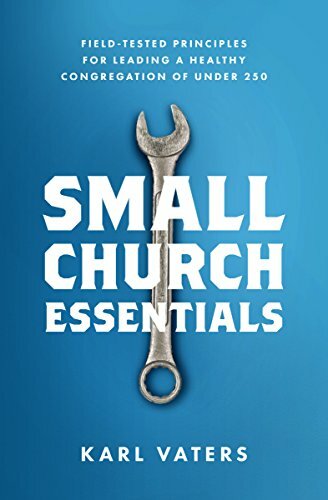 But I’m not going to read any more ‘10 Reasons Your Church Isn’t Growing’ lists. At least for a while. Oh my. The truth is, a church with those attitudes will not grow. And it shouldn’t grow. Because it’s not healthy. They presume that if a church isn’t growing numerically, it must be filled with self-serving, petty attitudes. So why have I stopped reading those posts? Because they’re based on a false premise. They presume that if a church isn’t growing numerically, it must be filled with self-serving, petty attitudes. That presumption isn’t just incorrect for most churches and their pastors, but hurtful. And it damages the very people they’re trying to help. If you’re writing blog posts like this, I’m your target audience. I pastor a good church that has never experienced the numerical growth I’ve always been told is inevitable if I follow the lists. Plus, because of my blogging and my book, The Grasshopper Myth, I talk to a lot of pastors who are also in your target audience. Like me, they want their churches to grow. And they’re looking for help. But when an already-discouraged pastor reads a list telling them their church isn’t growing because they’re visionless, self-serving and petty, it doesn’t lift them up, it beats them down. Guilt doesn’t motivate, it discourages. Besides, those petty attitudes aren’t true for us. Pastors who don’t care, don’t read church leadership blogs. You know who is reading your blog? Good pastors. Hard-working pastors. Caring pastors. Discouraged pastors. Write with those pastors in mind. To be fair, not every ‘Why Your Church Isn’t Growing’ list makes those assumptions. Many of them point out strategic issues, training ideas and teamwork principles that we may have missed and need to know.